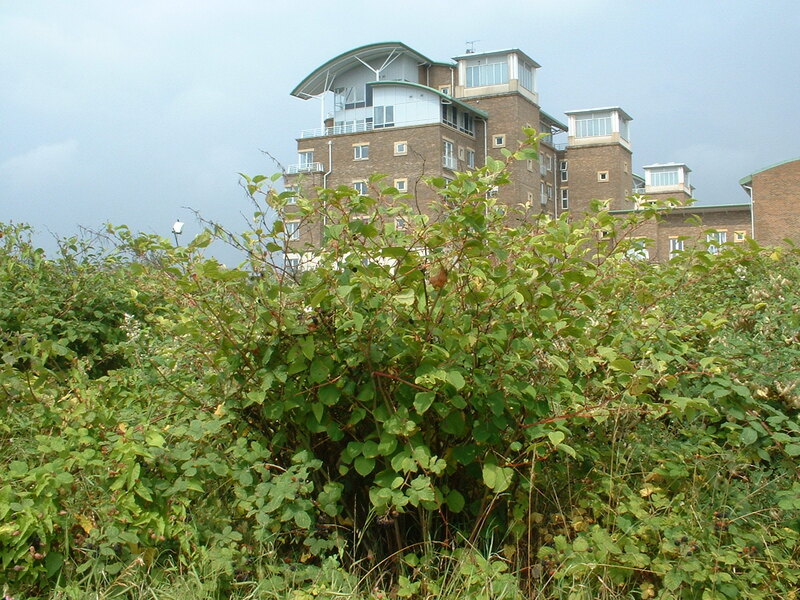 As experienced providers of Japanese knotweed solutions in Sussex and throughout Britain, we’re ideally placed to give our readers the facts about this remarkable yet horribly invasive and destructive plant. Here are some facts about the plant itself, its history and the extent of its spread. Japanese knotweed (scientific name: Fallopia japonica), is officially one of the UK’s most hated, feared and potent invasive species. In its homeland – Japan, China and Taiwan – knotweed doesn’t cause anywhere near as much harm and damage as it does out of its natural context. This is because it has plenty of natural predators like fungal pathogens and insects. Sadly it doesn’t have any over here. It sheds its leaves in winter and looks completely dead. But don’t be fooled. It’ll be back in spring. The plant is practically immune to burning. Phoenix-like, it rises from the ashes. 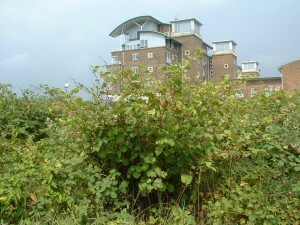 Japanese knotweed treatment and management costs the economy millions of pounds every year. A DEFRA analysis estimated an astonishing country-wide price tag of £1.5 billion for its control. Experts estimate the cost of keeping it under control could be adding 10% or more to construction and development projects. The Japanese knotweed rhizome is knotty and brown, with a surface a bit like bark. Inside it’s orange-brown-yellow. Survey data suggests that there’s at least one infestation for every ten square kilometres of Britain. The plant has managed to spread right across the UK since its import as an exotic garden dweller in the 1800s. London’s 2012 Olympics site was riddled with the stuff and the developers spent four years getting it under control. It may be invasive but some say it’s also delicious. There are several interesting recipes to make using the plant’s rhubarb-like young shoots. Why not try knotweed crumble – it’s delicious! Japanese knotweed isn’t toxic. But because it’s so all-consuming and covers the ground so comprehensively, the habitat it creates is hostile to local wildlife, birds, plants and insects. It also releases allelopathic chemicals into the soil that can stop other plants from growing. The plant grows remarkably fast and vigorously, growing 2m-3m high each growing season, sometimes 10cm a day, with a root spread of up to 7m, sometimes more. Dead knotweed bits and pieces can take as long as two years to decompose properly. The people at the Centre for Agricultural Bioscience International have been trying to find a way to stop its spread using biological control methods since the millennium. The Japanese use the plant in traditional medicine, where it’s a popular painkiller. The resulting medicine is called Itadori, which translates as ‘take away pain’. Japanese knotweed will grow absolutely anywhere, as happy on very poor soil as it is in good soil. It is so dense and strong it obliterates anything that tries to grow beneath it, and is strong enough to damage asphalt and even concrete. Which means it can significantly reduce the value of land and property. Mortgage companies have been known to refuse lending on properties where there’s knotweed present (thankfully this problem can be solved – read here). The plant has all sorts of weird and wonderful names, including Hancock’s curse, Mexican bamboo, and German sausage plant. Leave just one tiny piece of rhizome behind and it’ll grow into a new plant, which will then spread like mad. We’re not exactly keen on it, but you have to admire its sheer tenacity. As it rarely produces viable seedlings, it is mostly spread by people, machinery and water transporting fragments to new sites. The biggest cause of Japanese knotweed spreading is probably fly tipping. Want to know about Japanese knotweed solutions? Follow these links to read more about knotweed treatment options and rough removal costs. If you need Japanese knotweed treatment, we’re here to help. Any questions? We’ll be delighted to help and advise. You can also send us photos of plants you think might be Japanese knotweed and we’ll do our best to advise.